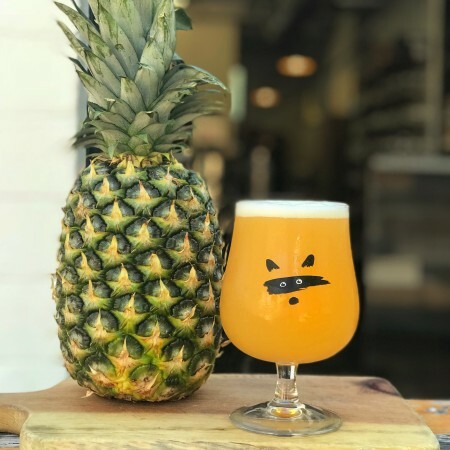 For this beer we decided to go in an entirely tropical direction, so we opted for El Dorado hops, which really accentuate the pineapple flavours and even add a hint of mango to the beer. The addition of lactose and vanilla really help to round up this beer and provide it with a light sweetness that compliments the pineapple flavour perfectly, resulting in a full-flavoured, juicy beer with a solid body. YY*→SJO is available now on tap and in bottles at Bandit while supplies last.